I lost myself to music at a very early age, and i remained there. 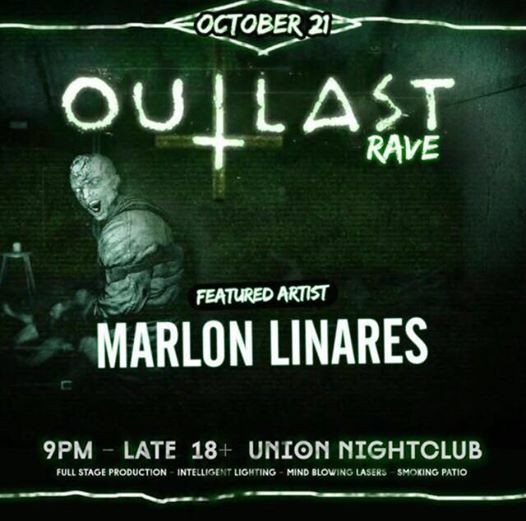 $15-25 click on price for tix! 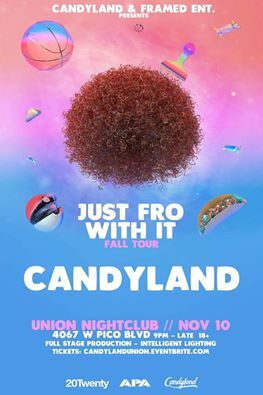 FUSION “JUST FRO WITH IT TOUR” FT @CANDYLANDDJS. MULTIPLE CUSTOM FUNKTION ONE SOUND SYSTEMS AT UNION IN LOS ANGELES! THURSDAY NOVEMBER 10TH, 2016 | 18+ RAVE EVENT | 9PM – 3AM | FT 16 DJ’S ON 2 STAGES | MIND BLOWING PRODUCTION | INTELLIGENT LIGHTING | MIND BLOWING LASERS & VISUALS | SMOKING PATIO & SPECIAL SURPRISE GUESTS! SANTA BARBARA NATIVE CANDYLAND BEGAN PRODUCING HER OWN ORIGINAL SONGS BACK IN APRIL OF 2012. AFTER BECOMING THE FIRST ACT TO WIN BACK-TO-BACK BEATPORT REMIX CONTESTS (SKRILLEX “MAKE IT BUN DEM” & BINGO PLAYERS “RATTLE”) AND RACKING UP OVER 1.3 MILLION SOUNDCLOUD PLAYS, SHE RELEASED HER DEBUT ALBUM “BRING THE RAIN” ON SPINNIN RECORDS (JAN 21ST 2013) WHICH CHARTED: #3 ON THE BEATPORT OVERALL TOP 100, #1 ON DUBSTEP TOP 100, #1 ON ELECTRO HOUSE TOP 100, #1 ON DRUM N BASS TOP 100, AS WELL AS #1 ON THE GLITCH HOP TOP 100. 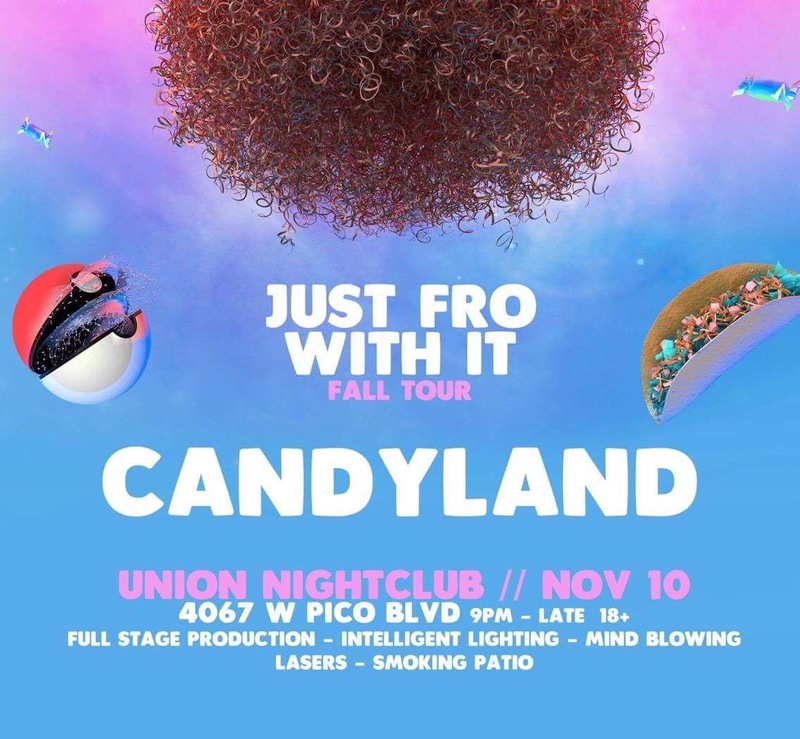 CANDYLAND CONTINUES TO PAVE HER OWN LANE BRIDGING THE GAP BETWEEN TRAP, DUBSTEP, AND HOUSE MUSIC WITH EVERY ORIGINAL/REMIX SHE RELEASES, INCLUDING HER NEWEST SINGLE “SPEECHLESS”ON SUICIDE SHEEP RECORDS (OCT 30TH 2015) WHICH HAS ACCUMULATED OVER 1 MILLION PLAYS ON SPOTIFY WITHIN THE FIRST TWO WEEKS OF RELEASE……Click here for tix! click on pic to take you to mix! Santa Barbara native Candyland began producing her own original songs back in April of 2012. After becoming the first act to win back-to-back Beatport remix contests (Skrillex “Make it Bun Dem” & Bingo Players “Rattle”) and racking up over 1.3 Million Soundcloud plays, she released her debut album “Bring the Rain” on SPINNIN RECORDS (Jan 21st 2013) which charted: #3 on the Beatport Overall Top 100, #1 on Dubstep Top 100, #1 on Electro House Top 100, #1 on Drum N Bass Top 100, as well as #1 on the Glitch Hop Top 100. Candyland continues to pave her own lane bridging the gap between trap, dubstep, and house music with every original/remix she releases, including her newest single “Speechless”on SUICIDE SHEEP RECORDS (Oct 30th 2015) which has accumulated over 1 Million plays on Spotify within the first two weeks of release. 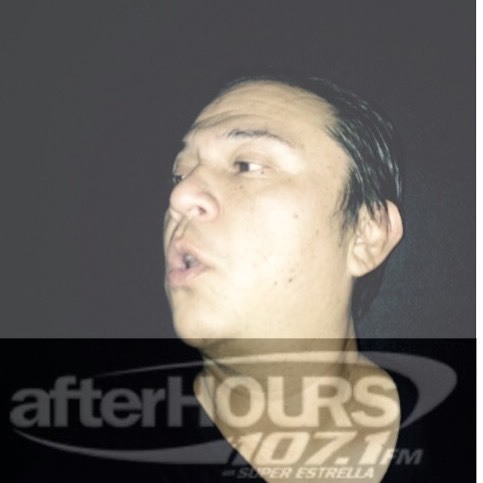 I will Be spinning …along with other local talent throughout the night ..